The CPAK Executive Committee is excited to invite you to the 2020 Annual Conference and Business Meeting at Northern Kentucky University in Highland Heights, KY on Friday, January 24, 2020. We are currently seeking professionals from across the Commonwealth to join our 2020 CPAK Planning Committee! Whether you are a new professional or a former Association leader looking for your next adventure, we welcome you to review the subcommittee roles HERE and complete THIS FORM. Check back periodically for updates on the CPAK 2020 Conference or find us on Facebook, Twitter, or Instagram. If you have further questions, please contact Lindsay Smith, Conference Coordinator, at Lindsay.Smith@wgu.edu 385.428-5677. 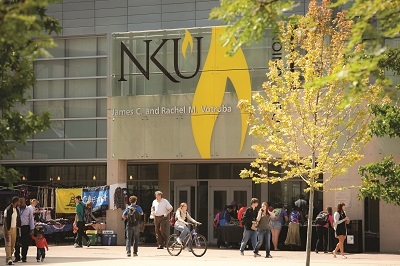 We look forward to seeing you at NKU in 2020!